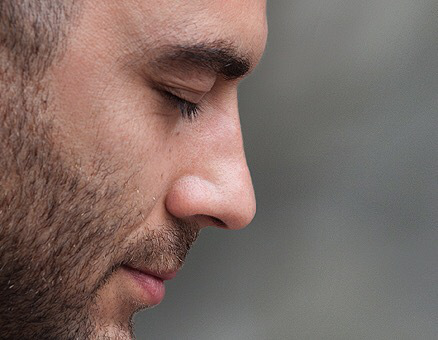 The majority of our weekly classes are drop-in and are designed to be easily accessible to new meditators while being very engaging for those with more experience, allowing you to go deeper and enhance your meditation practice. • Our classes are guided by the teachings of Kadampa Buddhism which uniquely emphasizes the union of meditation and daily life. Because of this, at each class, you can learn how to improve your practice by engaging in two guided meditations and also be inspired by a teaching that illustrates how to practically integrate meditation into our day to day activities by using the teachings of Buddha. • Each class includes an opportunity for Q & A or small group discussion as well as time after class to enjoy tea, snacks and a warm, friendly community. • Learn more about the weekly DROP-IN classes we offer below. 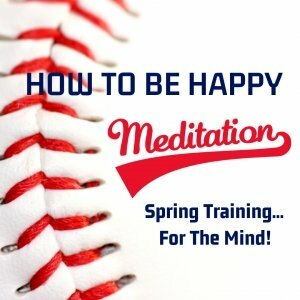 In this 4 week course we will take a look at some straightforward and practical ways to give ourselves some “Spring Training” for our mind! 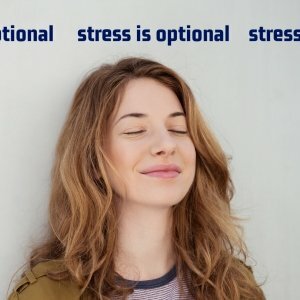 Everyone is “stressed” these days, but we don’t have to be. By learning to see stress realistically and openly, we can observe where it comes from, what exacerbates our experience of it, and the various routes to reduce and abandon it! 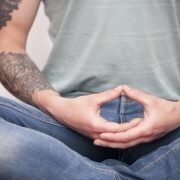 A four-week investigation of how to discover authentic and joyful self-confidence particularly in relationship to finding inner peace through meditation. 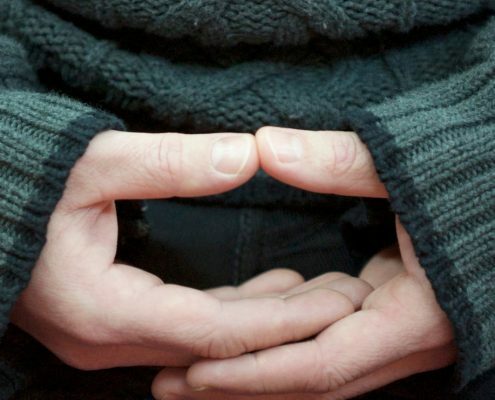 No prior meditation experience is necessary and everyone is welcome! Start your weekend off right! 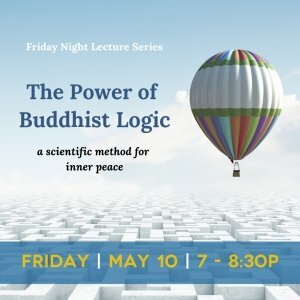 Once a month we will have a Friday night lecture suitable for everyone. With teachings on practical Buddhist philosophy and guided meditations, these lectures provide a welcome break from our busy lives, and leave us feeling refreshed and energized. It’s also a great way to end your workweek! Everyone is welcome! 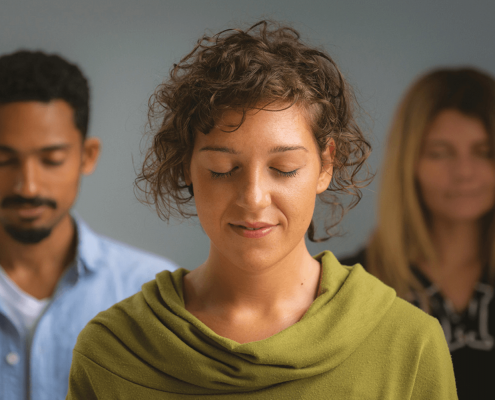 These Sunday classes emphasize integrating essential, positive states of mind such as patience, universal love, and compassion into our daily life. Come learn how meditating on and cultivating these positive states lead to a happy, more meaningful life! 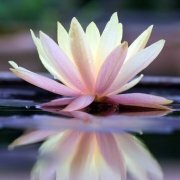 If you have been attending our regular drop-in classes for a while and are looking to dive deeper into your study, practice and implementation of Buddhist philosophy into your life, then the Foundation Program might be for you. Unlike our other drop-in classes, FP is an enrollment-based class that systematically studies one Buddhist text at a time with a community of committed practitioners. 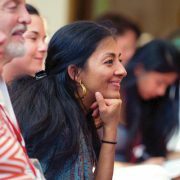 The Foundation Program is the perfect opportunity for those who want to enhance the richness of their experience of meditation and Buddhism. 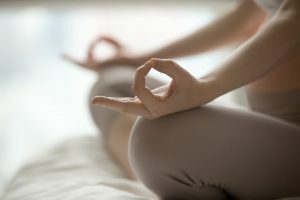 If I am new to meditation, which class should I start with? We suggest starting with our popular Sunday morning, Monday or Tuesday evening and Thursday mid-day classes, a great beginning to your meditation exploration. 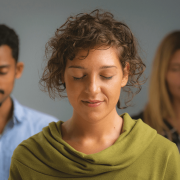 Most of our meditation classes and workshops are presented in a way that are beginner friendly but also offer students with more experience the opportunity to go deeper with their practice. Do I have to register in advance for class? For our regular weekly drop-in classes on Sunday mornings and Monday or Tuesday evenings, and Thursday mid-day pre-registration is not necessary and you are welcome to attend any class, even if it is in the middle of a series. All classes are self-contained. We do recommend registering in advance for our workshops and special events since seating is limited plus we have discounted workshop rates for early registration! Is there a fee for classes and workshops? Class fees for ongoing, drop-in classes on Tuesday Thursday & Sunday is $12. 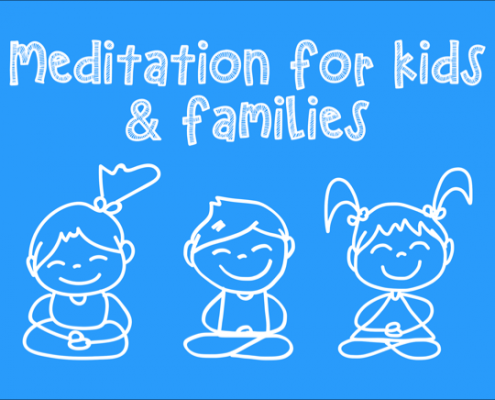 Kids and Families classes are $5 per child. Parents come for free! Our NEW branch in Back Bay class fee is $15 per class or you can purchase a pass online or at the branch- buy 3, get a fourth class free! 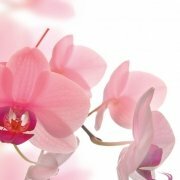 For day-courses, retreats and special events, prices vary. If you attend classes regularly, save money and invest in peace by becoming a member. Monthly memberships start as low as $45 / month for unlimited drop-in classes. (sign up online) There is also a 5-class card you can purchase at the center. Pay for 4 classes and get one class free! KMCB is financially supported solely by class fees and memberships that help pay for the center’s various expenses including rent, utilities, publicity, and the support of our Resident Teacher. (We receive no outside funding.) Our fiscal health also derives from students who are happy to donate a little extra. All donations are 100% tax-deductible and much appreciated! No need to wear anything special – just wear what is comfortable for you. There is no need to bring anything to class since we have chairs and cushions to sit on and we provide tea & light refreshments after class. Some students prefer to take notes so you can bring a pen and notebook, if you like. Street level accessibility for wheelchairs and space in meditation room although no access to restroom.